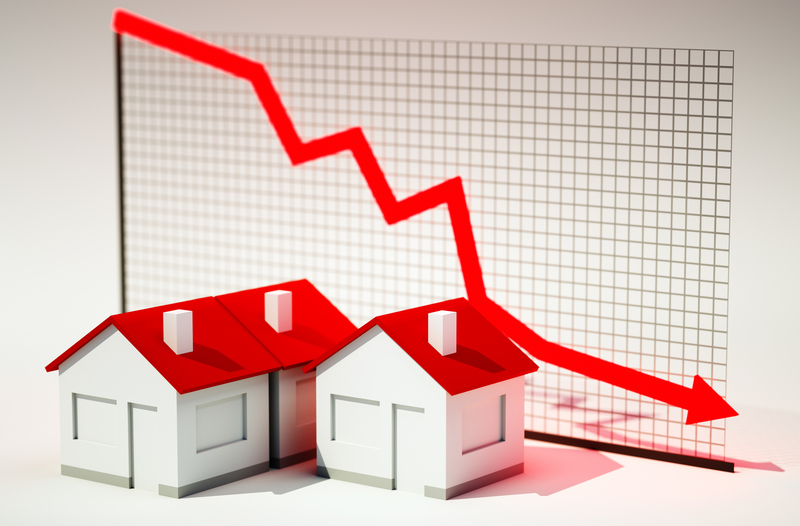 Australia’s capital cities recorded their first annual decline in dwelling values since November 2012 as cooling conditions due to tighter lending restrictions continues to impact demand. It was the seventh straight decline in property prices as weakening house prices in Australia’s two largest markets drag down the national average. Regional markets fared somewhat better, outpacing capital cities and edging 0.4 per cent higher in April, according to property researcher Corelogic. 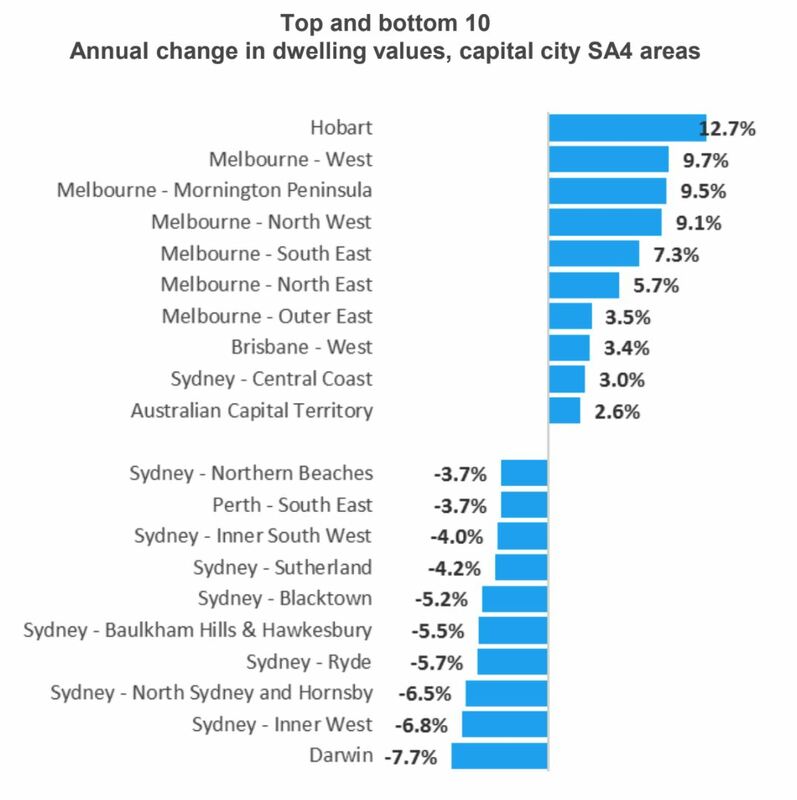 The combined capital cities fell by 0.3 per cent on an annual basis compared to an annual increase on regional areas of 2.4 per cent. 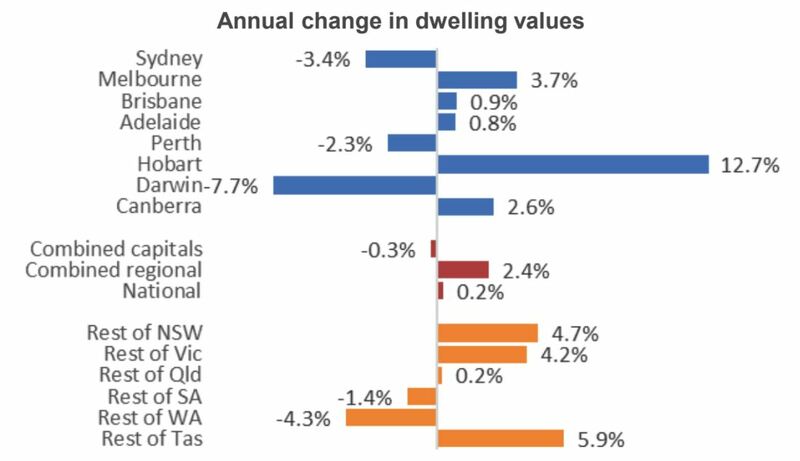 In April, national dwelling values fell 0.1 per cent which was the seventh consecutive month-on-month fall since values started falling in October 2017 according to Corelogic. 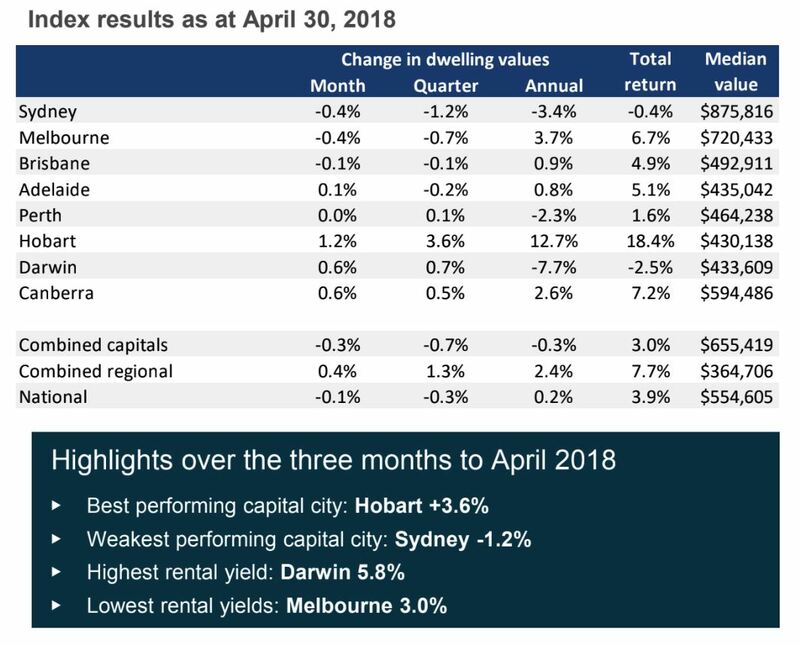 Falls of 0.4 per cent in both Sydney and Melbourne for April contributed to capital city dwelling values falling by 0.3 per cent for the month. Brisbane recorded a small decline of 0.1 per cent, while Perth was flat and Adelaide had a small rise of 0.1 per cent. Darwin and Canberra rose by 0.6 per cent while Hobart continued its strength rising by 1.2 per cent. “Considering investment activity has been substantially concentrated in Sydney and, to a lesser extent, Melbourne, it makes sense that these two markets would feel the brunt of tighter credit conditions for investment lending,” Corelogic head of research Tim Lawless said. “The slowdown in investment activity has been partially offset by an uptick in owner occupier lending, driven by a surge in first home buyer activity in New South Wales and Victoria. “Annual growth in owner occupier housing credit, at 8.1% over the twelve months to March ’18, is the fastest pace of growth since late 2016. “With the recent announcement by APRA that the ten per cent speed limit on investment lending would be lifted from July 1 for lenders who can prove they have met ARPA guidelines over the past six months, it would be intuitive to assume investment activity may lift, however that isn’t likely to be the case. “In fact, borrowers may face tighter lending conditions as banks focus more on debt servicing and ensuring expenses are more comprehensively assessed and adequately allowed for,” Lawless said. Nationally, weekly rental rates are now rising at the annual pace of 2 per cent, the same rate of growth as a year ago, but slower than seven months ago when the annual pace of growth was tracking at a recent high of 2.9 per cent. “Slower rental growth, particularly in Sydney, is most likely a factor of higher levels of investment which has supported a rise in rental stock combined with a surge in first home buyers which has detracted from rental demand,” Lawless said. Corelogic expects that low mortgage rates will keep a floor under housing demand while credit conditions remain tight. Another hold on interest rate movements by the Reserve Bank will reiterate a neutral policy stance for the foreseeable future. Another factor supporting a soft landing in the housing market is high overseas migration, particularly into New South Wales and Victoria as well as strong interstate migration flows, especially into Queensland, Victoria and Tasmania.